Runway Digital Social Media updates ~ our plan! Blog by Runway Digital Capt’n, Samantha Bell. Our intention remains strong in 2013 ~ for exceptional brands to have great audiences. To connect relevant people to each other. Quickly. To have businesses tell their true and inspiring stories. To have their customers enjoy engaging with them. 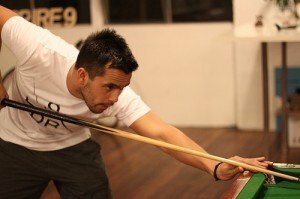 Since 2006, I’ve been driven to learn the best ways and to pass on the learning. This year we’ll keep distributing great info and up to date insights on trends that are of interest. We do this to make you / your organisation’s life easier online and to have you quickly find people online who seek what you sell and do. As always, you have the power to influence what you receive. Be involved, let us know what is working for you, what you’d like to receive and questions you have. 2013 seems like the year to cull – to work with simple systems that have big results; to cull things that don’t work as well. At Runway Digital, that means we will give you less posts of higher quality so you can get on with doing. We’re doing this through more channels: Facebook, Twitter, Google+, LinkedIn, YouTube, our website, newsletters to our email subscribers and emerging channels such as Instagram. We’re even wondering what sort of mischief to post to have you laughing. A fortnight ago, we gave insights to creating great content and last week it was tips on specific social media sites that we’ve collated on Pinterest – and we’ll keep updating Pinterest as it’s a great location to collate interesting subjects on a topic. This week we’re talking about strategic social media: alliances and partnerships and how they can help you grow your audience. Tune in and learn… but not for long – we want you to do what works and see you fly high! Send us a tweet or Facebook post or note on any other site to keep us updated. We’re interested to hear from you via Twitter, Google+, or LinkedIn. Hear’s to your lift-off! “Remember that people want to contact you via different online sites – Facebook, Twitter, email, your website etc. Work out who you wish to attract, what sites they use, and how often you want to post on these sites. Look for automated tools such as Buffer and plan an amount of time each month to plan relevant topics you want to write about (or find information on) to provide value to your audience. A big advantage is having someone update Social Media for you. This is where a virtual assistant can come in handy or even a family member / friend who can help out. Don’t get too exhausted trying to update loads of sites. Update settings to send you an email if you don’t log in regularly. (If you log in to Facebook / Twitter etc regularly then turn these settings off – don’t double up!). Hope this helps. Get in touch for more support via Twitter: Runway Digital or Samantha Bell. Photo: Bangkok skyline to inspire your clever. We’re interested to hear from you via Twitter, Google+, or LinkedIn. Click through to our Pinterest board to see great examples of people and companies who have digitally lifted-off. 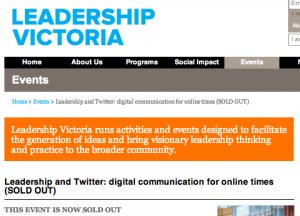 Tomorrow Samantha Bell, Runway Digital’s Captain, is delivering a Digital Leadership keynote presentation and facilitating a workshop as part of the Citizen Leadership Project, of Leadership Victoria. This session will give insight to the growth of and maturing style of social media and online users, including Twitter users (over 140 million) and how personal leadership enhances a company’s and individual’s experience on Twitter. More information is here on other subjects covered. This session sold out very quickly – otherwise we would have further extended invitations to you! ~ The Clever Pilots and Crew of Runway Digital. How do I look Online? Learn more about Online Reputation Management here. Recently, this great article about online reputation management appeared on the Runway Digital radar. It’s includes a plethora of tools for you to manage your online profile – from SEO through to tweets and blogs. Remember Runway Digital provides an Online Assessment service. We’re ready to review what you have created online so we can save you time, and show you what you look like to those who search for you online. Let’s make sure you’re making the most of opportunities and refining how good you look online. Runway Digital is based in Melbourne, Australia and sets up wherever great work needs to occur – to date this has included Bali, Indonesia, London, and North America. 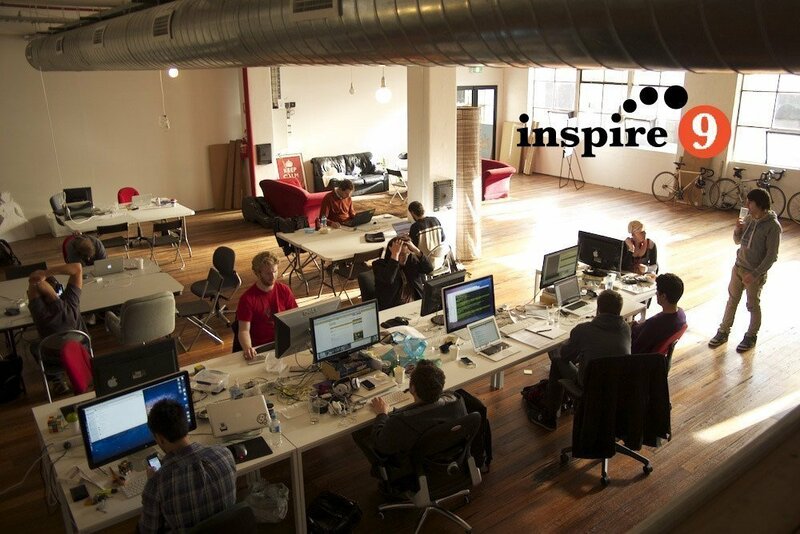 Recently we’ve joined Inspire9 – a ‘coworking’ space in Richmond, Victoria, Australia. We’re impressed by the productive, easy environment of many people of all different professions and backgrounds and organisations working together. Largely technology-based, with many web developers and tech startups, we’ve started working with and talking to other organisations that will complement Runway Digital, while also enjoying filmmakers and photographers and other professions who are starting to work from Inspire 9. It’s here and it’s also a window into the future where more and more teams full of individuals who are exceptionally good at what they do (and passionate about it) work easily at whatever time suits.